How Bankruptcy Affects Your Credit? Who Is Involved When Someone Files For Bankruptcy? What Can A Person Keep When They File For Bankruptcy? How An Automatic Stay Works? What Is The Means Test & How Does It Work? Would Both Spouses Have To Attend The 341 Meeting If They Filed Together? What Happens During The 341 Meeting Of Creditors? Can The Person Talk To Their Attorney During The Meeting? You’ve Been Sued! What Next? There are many questions that you may have regarding bankruptcy, and you can be sure that you will receive the answers you are seeking as well as the legal assistance through this process that you need if you choose to work with me. Bankruptcy is a serious issue that can often take some time depending on the type of bankruptcy that you choose, the number of debts that you have, and many other factors in your situation. Chapter 7 bankruptcy is the form of bankruptcy where there is no monthly payment to a trustee, and the case is finished approximately 90 days after it is filed with the bankruptcy court. This form of bankruptcy is typically used to eliminate your liability on unsecured debts, like credit cards, medical bills and personal loans. 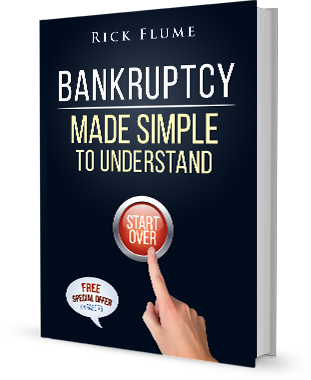 Chapter 13 is form of bankruptcy where there is a monthly payment to a trustee for 3 to 5 years, and it is typically used to consolidate your bills into one monthly payment. There are many different benefits to the bankruptcy process, and it is important that you speak with your attorney regarding these issues rather than believe the myths and rumors that you hear from other individuals. People who consider filing for bankruptcy are commonly concerned about how bankruptcy will affect their credit. There is good news, filing for bankruptcy does not damage credit as much as one might expect and in the long-run, filing for bankruptcy can have a positive impact on one’s credit rating. Since the Great Recession that began in December of 2007, more than 8 million Americans have lost their jobs. Whenever you are struggling with overwhelming debt, it’s important to consider all of your options and this includes bankruptcy as well as all other available alternatives. The bankruptcy timeline varies depending upon which Chapter you file. On average, a Chapter 7 bankruptcy takes from 4 to 6 months to complete, whereas a Chapter 13 bankruptcy is discharged when the Chapter 13 payment plan is completed. If you are considering the option of bankruptcy for financial relief and freedom, then there are various mistakes that are commonly made that you must be aware of. First, you must have an attorney on your side who can skillfully guide you through the process. There are many people who have heard bad things about bankruptcy, and because of this, there are many myths that have spread about this process. It is vital that you have representation on your side to dispel these falsehoods. Life after bankruptcy is often portrayed as a much more difficult process than in actuality. It is important to know that because of various laws surrounding bankruptcy, you may be extended credit much sooner than you expect if you file for bankruptcy. While bankruptcy provides many benefits and a great deal of financial relief, it is important to know that there are some disadvantages, and that you consider all alternatives before choosing to file for bankruptcy. It is important for you to understand some warning signs that may indicate bankruptcy as a beneficial solution. Creditor harassment, repossessed property, foreclosure, and negative circumstances are all serious indicators that you may need to consider bankruptcy. Suffering from debt overload? Let Attorney Rick Flume help! If you are experiencing severe debt loads and you want to pursue relief, then it is important to speak with me as soon as possible to discuss your situation and to evaluate your options. Bankruptcy is not for everyone; however, there are many benefits to this option and it is important for you to explore all options. Contact my firm today for a free case evaluation and to begin the process of pursing the financial relief that you need. Use A Tax Refund To Buy A Cash Car? Copyright © 2019 Rick Flume, Bankruptcy Attorney. All Rights Reserved.